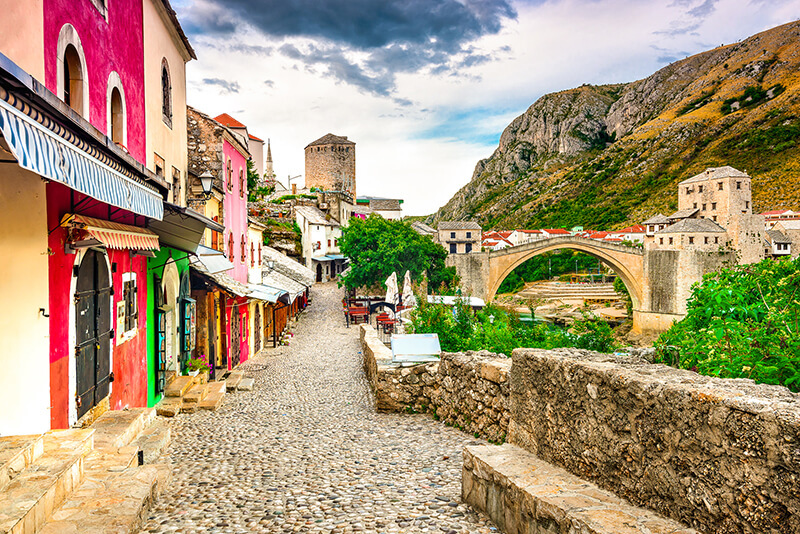 Mostar is a city with a rich history that has shaped and formed it since ancient times. This city is also known as the “melting pot of cultures” and it is a perfect choice if you are looking for a one-of-a-kind experience. 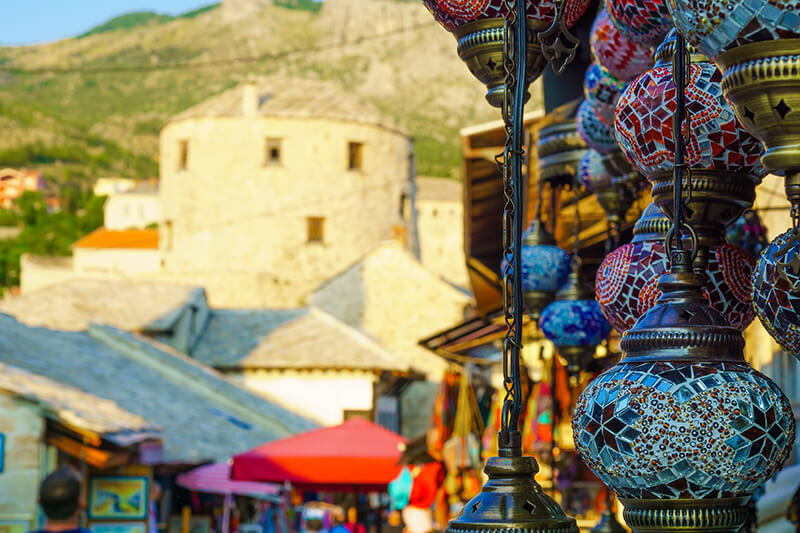 Is there anything more exciting than exploring the cobbled stone streets of a city where the Neretva River divides cultures and religions? The differences and contrasts here can be seen not only through architecture. 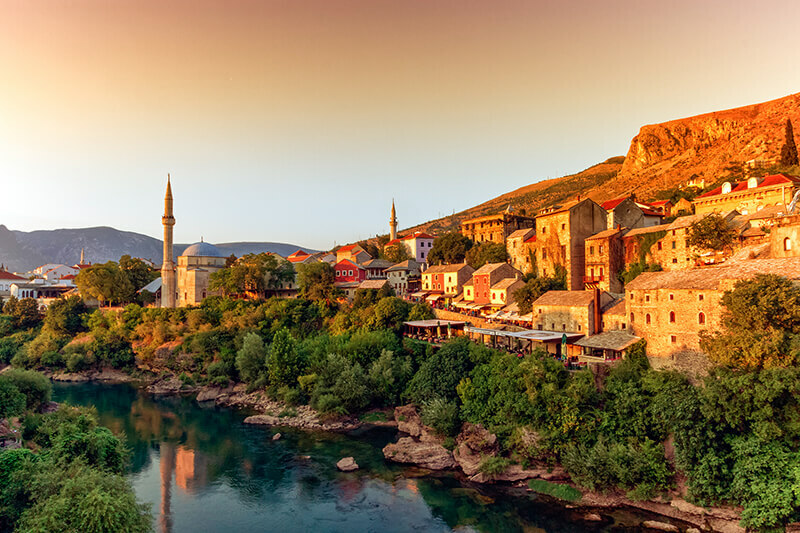 The story of Mostar could definitely be named after “The tale of two cities”. 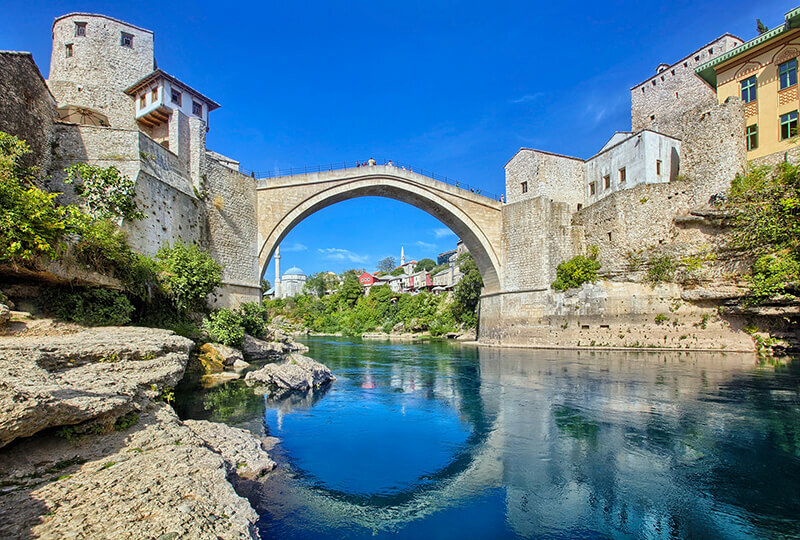 The city has two sides; the left and the right bank of the river are connected by one of the wonders of the modern world, the spectacular Mostar Bridge. 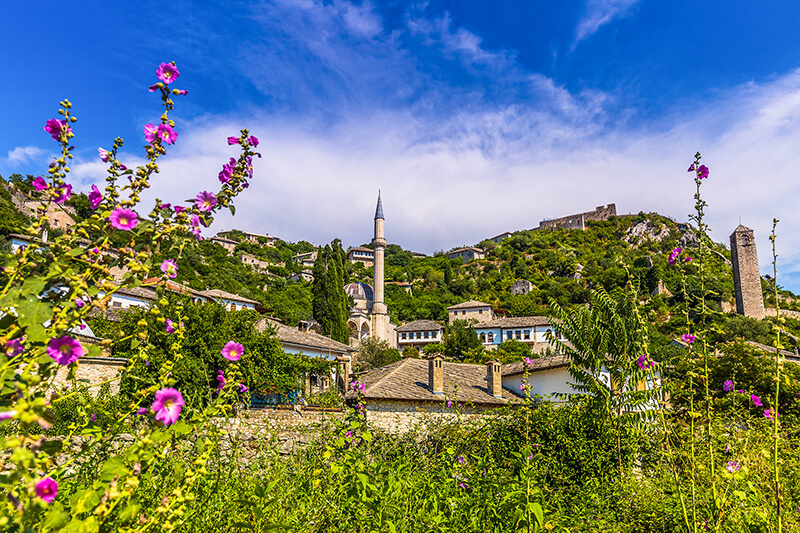 Your first stop of the day on the Dubrovnik to Mostar tour will be the small hillside town of Počitelj. This is an historic location on the banks of the Neretva River and a very popular tourist stop on the way from Dubrovnik to Mostar. 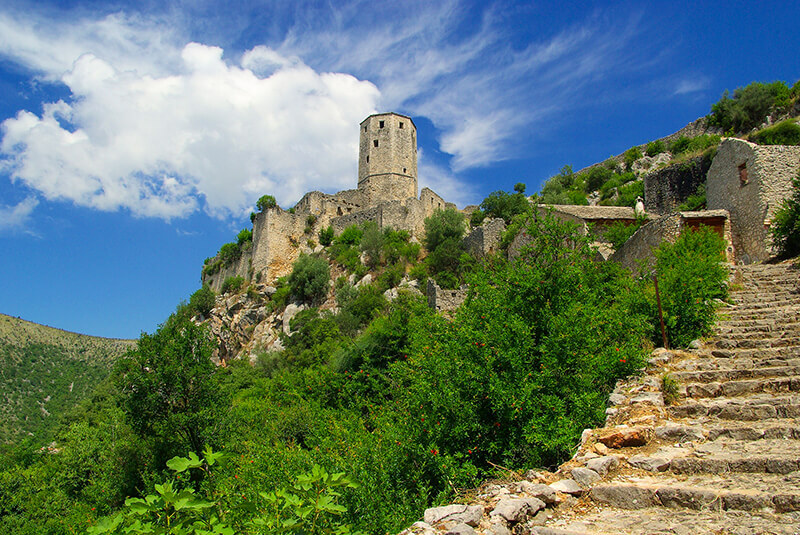 This fortified town contains only a few scattered homes and cafés, an unusual mosque, a tower and a citadel, all surrounded by the remains of the city walls. The main construction dates from two different periods – medieval and Ottoman. Please note Passport is required. Some countries need visa, check it HERE. Excursion itinerary can be adjusted in case of conditions beyond our control. We used these guys for a day trip to Mostar and found them to be very good – professional and friendly. 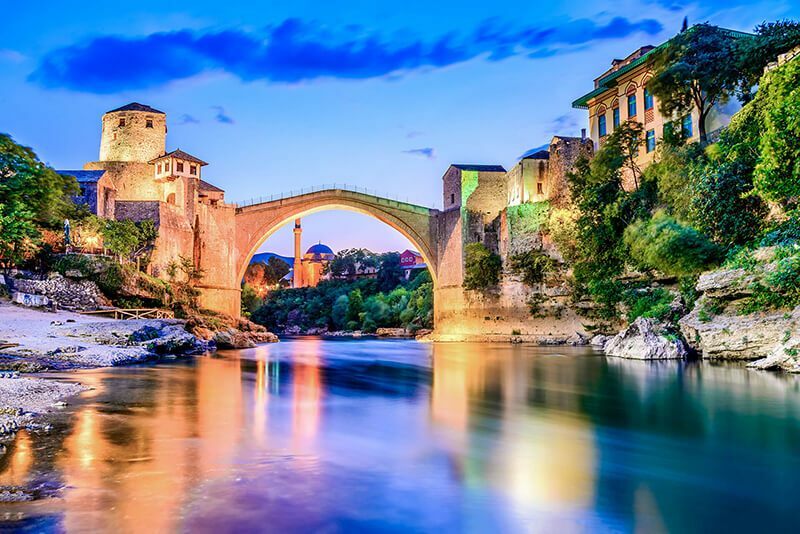 The online booking was easy and straight forward and contained good info on the itinerary (including the visa requirements for travel into Bosnia-Herzegovina). The pick up was on time and driver and guide were friendly, smart, professional and informative. They were spot on. The bus was a mid sized bus and therefore the trip was quite personal. You weren’t hoarded onto one of the huge coaches where you were treated as cattle. The bus was clean modern comfortable and with decent air conditioning. Ivanka, the guide, also had good intelligence on the boarder crossing sites, supplied by one of her colleagues, and chose the ones with the shortest queues. Very cool. The journey was pleasant with lots on info on the towns we passed through and frequent stops. Finally Mostar was a cracking visit. Interesting, pretty although very busy. We had three hours there and this was enough for a good walk around and a leisurely lunch. A cracking day out. Our guide on the trip Anastasia was brilliant and full of really interesting facts along the way, her commentary really made me think about the Balkan Wars differently and was interwoven with fascinating facts from more ancient history as well as up to the minute facts, figures and anecdotes. 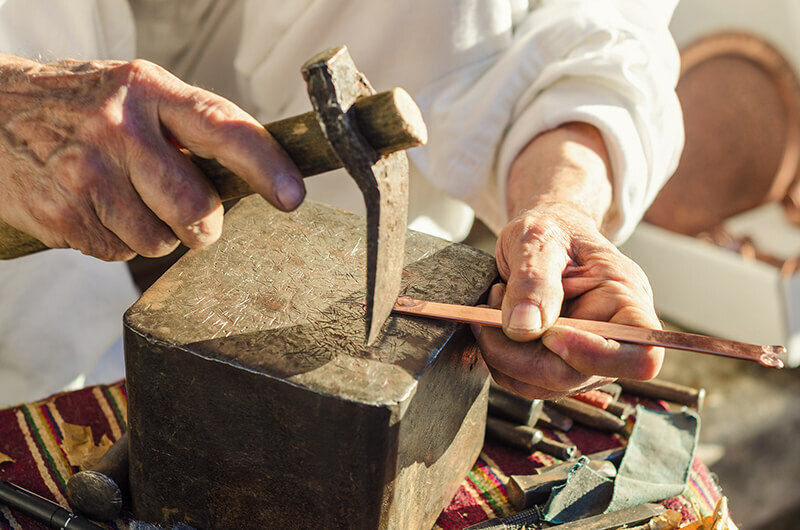 The people are amazing, even more friendly than Croatia and whilst a lot of the souvenirs are probably made in China the locally made copper goods and wine and really good value and quality. This is a country that really deserves your tourist dollar. We booked a trip from Dubrovnik to Mostar for the day. The bus was very comfortable and air-conditioned, the moment we got on we were glad we didn’t get the local bus. What really made the trip were the guides. Ivana on the coach gave us a fascinating insight to Croatia and Bosnia on the way, and a local guide in Mostar explained the recent tragic history and current situation, both guides were some of the best I have been on a tour with. It was the next day I realised I had left my kindle on the bus, and the staff in the office could not have been more helpful. They contacted the tour guide (who was on the bus in Montenegro at the time), found it and arranged for it to be dropped off at the airport with a relative who worked there, as we were flying that evening and couldn’t wait for the bus to get back to Dubrovnik. Fantastic service and many thanks.